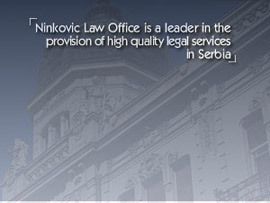 Ninkovic Law Office is a full service commercial law firm based in Belgrade, Serbia. 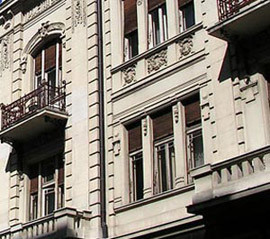 Established in 1938, we have a long tradition offering legal support to international and domestic clients. We are particularly noted for our legal expertise across a wide range of key specialist areas, including aviation, banking & finance, civil litigation, corporate & commercial, insurance, intellectual property, mergers & acquisitions and privatisation. Our team of experienced lawyers includes recognised experts in various areas of commercial law, supported by a network of expert associates and consultants. A number of our lawyers have benefited from international legal education and have gained international legal experience. Our lawyers regularly speak at law conferences in Serbia and abroad and have published extensively on various commercial law topics. Most of our lawyers are fluent in English. We are committed to providing high quality legal support services to our clients and helping them achieve their commercial objectives. Please visit our “News page” to see some of the recent transactions and cases we have handled.